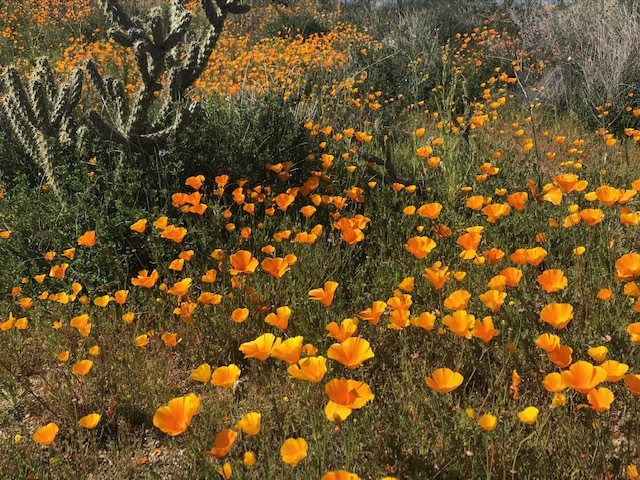 This field of California poppies, part of the "super bloom" that followed this year's record-breaking rains, recalls the Gold Rush of the mid 19th century. "There's gold in them thar hills." 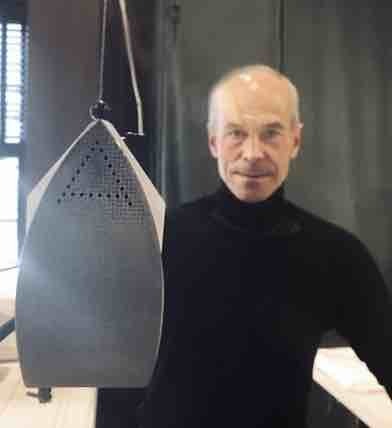 Two weeks ago, I was sitting in the beautiful Venice, California, home of my friend Tony Bill, talking about the California gold rush. Tony (he is the best storyteller) described the throngs of Argonauts or 49ers (as they were called) who traveled across the country in the mid 19th century to seek their fortunes, often walking hundreds of miles to reach their final destination, as the trains did not take them beyond the Midwest. Out of this madness, the State of California was born, as was its reputation as a place where dreams come true, foreshadowing everything from the movie industry at the beginning of the last century to the social media boom that defines the northern half of the state today. 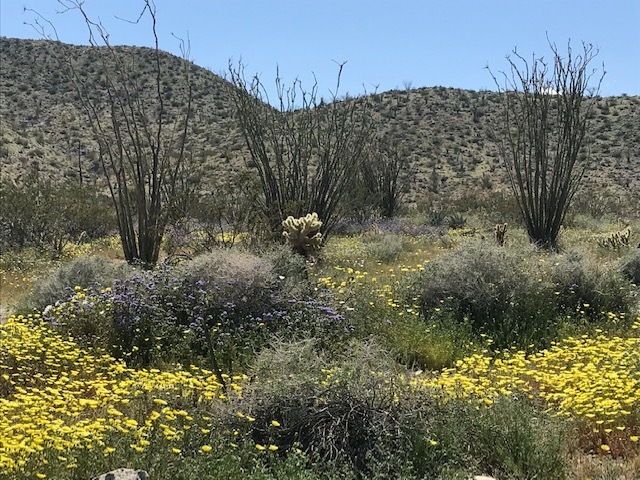 The flowering of Anza Borrego Desert State Park has attracted record numbers of visitors taken in by the beauty of the desert after a rainy winter. Two days later, I participated in a gold rush of another variety: the mad dash by people from all over the country to the Anza Borrego desert, Lake Elsinore and Walker Canyon to see the “super bloom.” Satellite images of this explosion of flowers could even be seen from space — to the best of my knowledge, there were no extraterrestrial participants, although aliens may not look too different from Californians dressed for a day out in the wild. 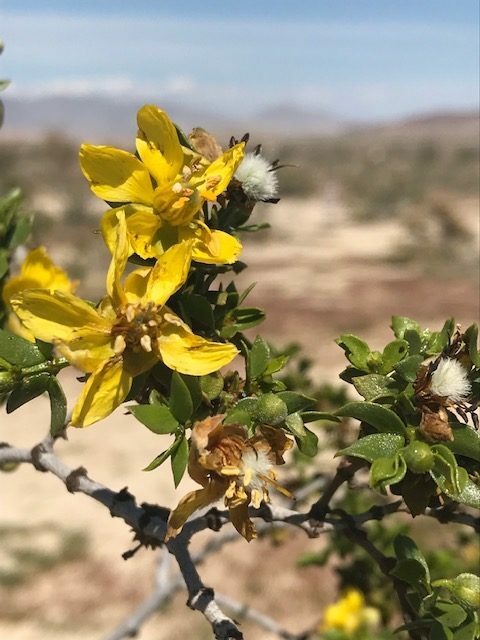 Shrubs in the Anza Borrego Desert are in full bloom as well, setting seed to replenish the seed bank for years to come. The explosion of flowers ranged from golden California poppies and butter yellow desert dandelions to the annual baby-blue eyes that seem to capture the soft blue of the California sky. 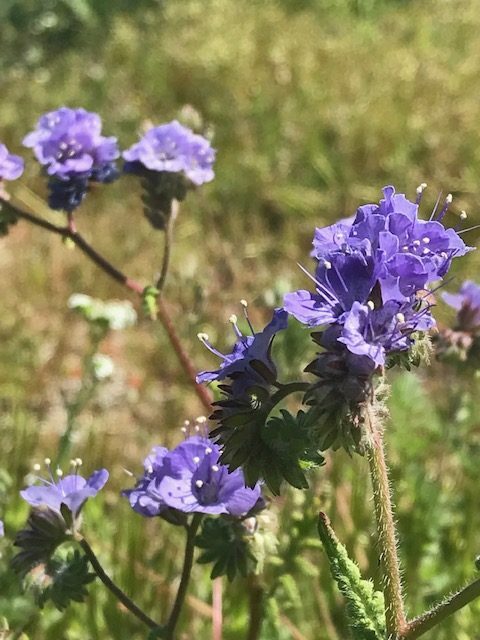 These flowers make a show every year in the California landscape — the seeds that produce them sit in the soil bed waiting for the proper conditions to germinate — but this year’s record rains have caused them to show up in unimaginable numbers, the biggest explosion of color in years, just like the visitors that came to see them. Blues and purples abound in this season as well, almost harkening back to the Technicolor days of Hollywood and all that they promised. One might think to compare this extreme use of the seed bank to the runs on banks during the Depression, but plants are wiser than people; the seeds that were used to create this mad bloom have created plants that will multiply the stock of seeds exponentially. 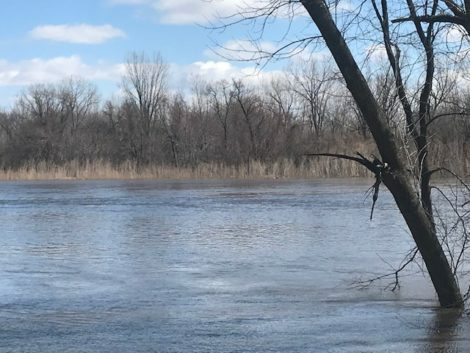 Evolution led these plants to know when to invest wisely, but in a world where the weather seems as uncertain as one’s investments, I cannot help but worry a little. And, of course, the companion explosion of brush and grasses – the mountains surrounding Palm Springs and the hills of the Santa Monica Pass were green beyond anything I could remember – produces another concern: the threat of fires as the rains disappear and the dry brush provides fodder for fire in the seasons ahead. I want to believe that nature has a plan for this as well, but the memory of this past year’s fires in California and the devastation that ensued lingers in my mind. 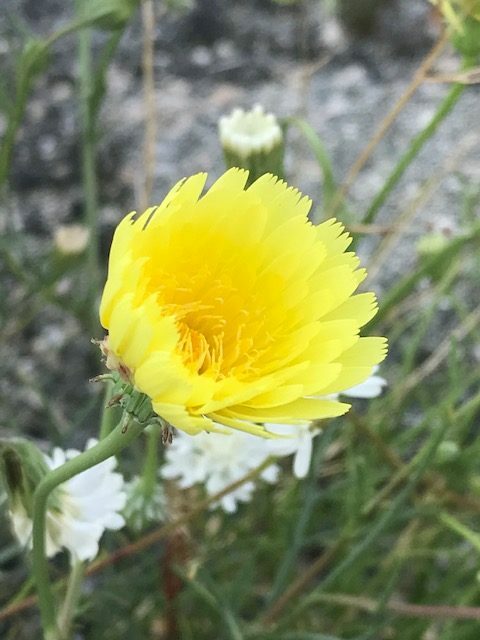 The desert dandelions are fragrant and seem to reflect the sunny skies that California has always promised. 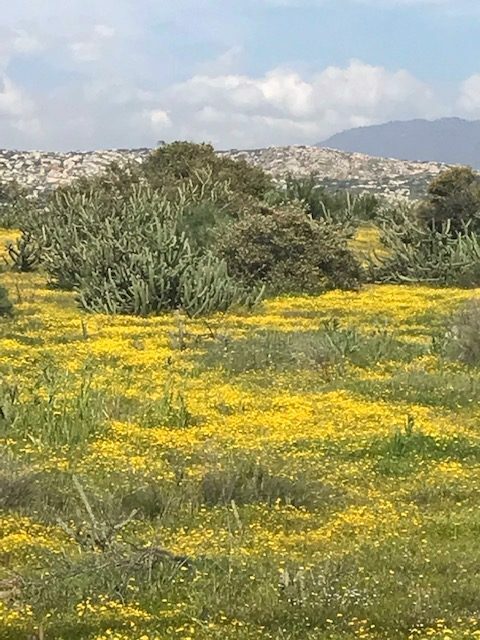 As I traversed the California countryside, taking in the explosion of color, I was struck by the omnipotence of nature, its beauty, and my faith in its ability to help heal the world. At the same time, I thought about those 49ers and the consequences of the Gold Rush, where great success and moments of glory were countered by the experience of others who went home desolate and broken. 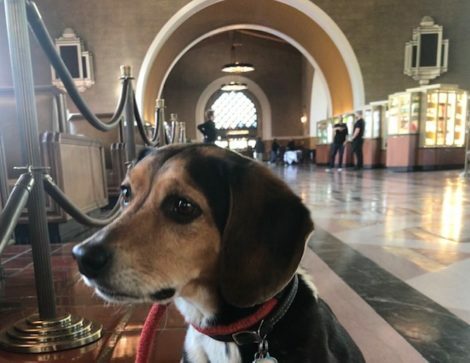 California is the land of dreams, to be sure, and a place where one hopes the hard realities of life can be held at bay, but nature can be fierce both in its beauty and its wrath. In this brief moment of breathtaking beauty, however, all seems right in the world. I will place myself amongst the other Argonauts and take in the glory of the flower and the splendor of the grass. More fields of gold in the California desert. That is fantastic you were visiting and witnessed this! Thanks for sharing!